In this article we are providing details on Sukanya Samriddhi Yojana in SBI. Sukanya Samriddhi Yojana is an initiative taken by central government. In the current budget, Our finance minister announced one of the high return saving account to secure the financial future of a girl child. With this scheme a girl child will not be a burden on her parents or guardians while she grows up. The scheme was officially launched in January 2015. The small saving scheme for girl child is specifically designed to ensure that parents and guardians of the girl do not get overburdened at the time of their marriage or higher education and can take advantage of the investment as a tax exemption under section 80C of Income Tax. Currently Sukanya Samriddhi account can be opened from Post office but soon the SSAY account will be opened in all nationlised bank. Sukanya samriddhi account SBI would be the most important one that everyone would be looking for and we are providing the details on the same. Below is the Sukanya Samriddhi account SBI FAQ. Documents required for Sukanya Samriddhi Account in SBI? Do you need to have an existing account in SBI for opening SSA? SSA would be a fresh account under Sukanya Samriddhi Yojana. It is irrespective of whether you already have an account in SBI or not, this account would be opened fresh in the name of the girl child by furnishing the above mentioned documents. 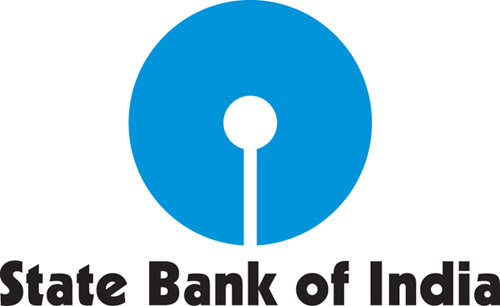 How much initial deposit is required to open SSA in SBI? As per the scheme, an initial deposit of Rs 1,000 would be required at the time of opening of the account. After that, you can deposit a minimum of Rs 100 or its multiple amounts any number of times throughout the year. Whom to contact in SBI branch? You can walk up to any of SBI branch that is nearest to your location. Once you get into the bank, you would be directed to the official who is responsible for opening up of Sukanya Samriddhi Accounts in SBI. After meeting that official, he would himself guide you through the rest of the process. It is important for you to know that under Sukanya Samriddhi Yojana, you can open an account for your girl child in any of the nationalized banks and post offices listed by RBI. For more info and details on Sukanya Samriddhi Yojana, please visit our other relevant articles on the scheme. I Have visited plenty of times to SBI Vaishali Nagar Bhilai in Durg District of Chhattisgarh State, but every time Bank officer asked me to furnish the form with another way, I am so much confused how to apply & how the officer want me details to be furnished in account opening form. Kindly help me step-by-step guidance about opening my daughter’s SSA Account in the above branch, as I have already my Salary/Saving Account is also having in the same branch. Please send a complaint to SBI zonal/regional managers and RBI authority. Starting a SSA account is a matter of 15 minute job. Because in your case, salary account is on the same branch. So they dont want any other details from your side. Only required are 2-3 passport size photographs and Birth Certificate of your little angel. If they require KYC details, simply give a photo copy of your savings bank passbook. From my knowledge there is no special application for for SSA. The process is almost same as creating a new SBI account. Also send the form along with your complaint to SBI regional /zonal manager and ask them to provide the correct form if your form is wrong then see the magic.